During the day Lauren is known as the Client Delivery Project Manager at Toolkit Websites, but in the evenings, Lauren kicks off her work shoes, puts on some very brightly coloured shorts and trains in 'Muay Thai,' also known as Thai Boxing. Lauren says: "Most days I spend any free time I have at my local gym in Southampton, Exile Gym. We have a great little community at Exile with people of all ages and levels. Both men, women and children can come and train with many of Exile's great coaches, each with their own areas of expertise and in the process become part of a great circle of friends. It's also a real honour to have the opportunity to train alongside Southampton's greatest representatives in their respective sports - and I assure you we have some real talent in the area. 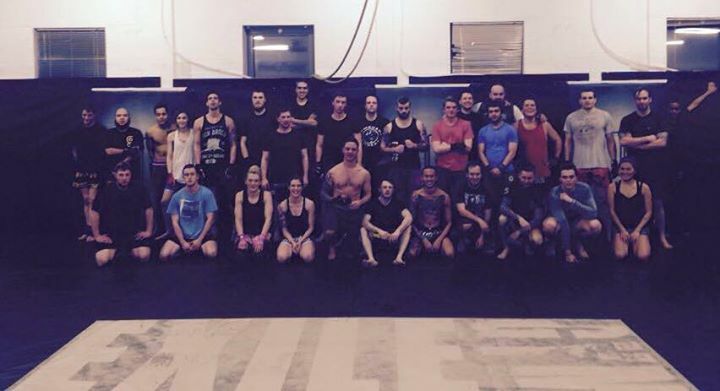 Exile offers facilities for many different fitness classes and clubs but mainly specialises in martial arts and self defence. Some are known as stand up sports and include Boxing, Muay Thai and Kickboxing but there is also the opportunity to learn ground fighting styles such as Brazillian Jiu Jitsu or MMA. 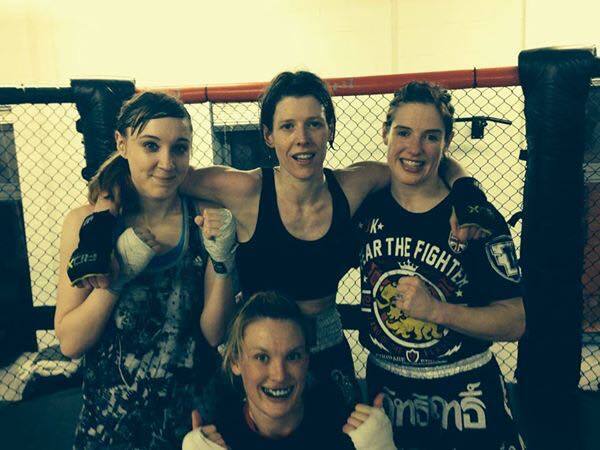 I train in Muay Thai which is a stand up martial art, originating from Thailand. It is also known as "the art of eight limbs" as you can use your hands, legs, knees and elbows to punch, kick and all-round strike your opponent. There is also an element called 'The Clinch' where the two fighters carry out a stand up form of wrestling, each attempting to outscore or overcome their opponent. Exile Gym, Southampton, is home to many great fighters and organisations which play host to some of the local big shows that competitors from all over the country will travel down to take part in. The show that I hope to be on at some point this year (hopefully) is Look Borai's 'Fast and Furious' show for which the local Oceana is the venue for. 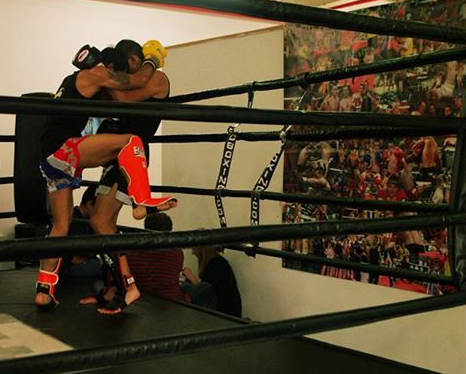 Muay Thai is a huge part of my life and I do truly love it. It's a great way to meet people and keep fit but more than that, you feel like you're part of a family. Being quite an active person, I've always enjoyed sports and other physical activities but Muay Thai is by far my favourite. It can be creative, at times brutal and exhausting but when you feel yourself improving and getting better, your confidence really grows and it becomes a part of you." But Lauren is not the only fitness enthusiast in the office. Toolkit Websites may be a web design company but we have some great sporting talents among us. Tom is our digital marketing apprentice, but outside of work he is a hockey fanatic. "Hockey is not for everyone by no means, it's fast paced, requires good fitness and fast reaction times. Most people would have played hockey in school for the first time and because of this tend to not think much of it. I began playing hockey when I was six years old, following in my brothers footsteps. 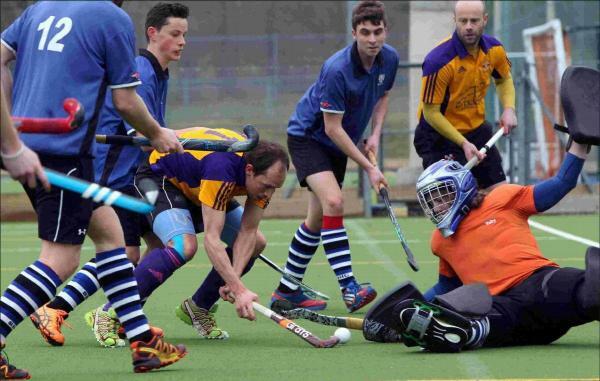 I have now been playing for Southampton Hockey Club for 13 years and have no intention of giving up any time soon. I play for their first team and we are currently in the Hampshire/Surrey - Regional 1 league and admittedly are not doing too well after last seasons promotion but still battling on! I have tried playing other sports but nothing was as enjoyable for me as hockey is. Hockey has taught me a lot and helped build my personality, the main thing it has taught me was the difference from my right and left. We play every Saturday throughout the winter season then change to a week day evening during the summer. I would recommend hockey to everyone, it doesn't take long to learn and it is always enjoyable. I may have scars and battle wounds all over my legs and hands but I still love it and will continue to play as long as I am able to." 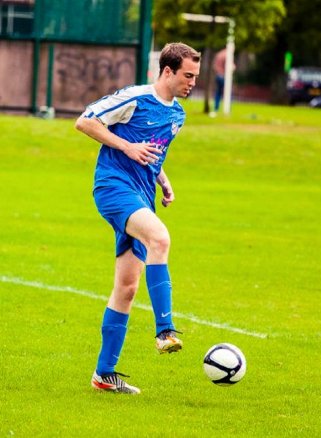 And lastly, our Client Care Manager may have been away from his favourite sport for a few months with a knee injury, but nothing gets in the way of him and the beautiful game... football! "Football has always been my first love, from my Adidas predators (football boots) at Christmas to the 6x12ft goal nets I was gifted for my 13th Birthday, which subsequently led to the destruction of my mothers back garden, football has been a huge part of my upbringing and what was a hobby now seems to be the only thing keeping my cardiovascular fitness slightly above normal. 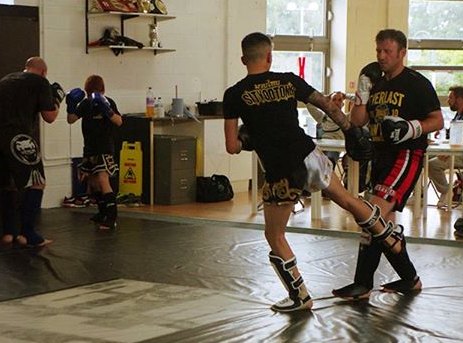 I think anyone working full time hours needs something away from their 9-5's to allow them to let off steam, keep fit and for me competitive sports, whether football, hockey or Muay Thai is the perfect solution. Unlike most sports, it's very difficult to train for a game that consists of 90 minutes of running, walking, sprinting, jumping, sliding, physical contact and sudden stopping. Football requires the use of every muscle in the body so the only way to achieve your best level on a Saturday afternoon is to keep fit in the week with running, five a side where possible and weight work. It's obviously not the Premier League but the build up to a match, camaraderie you share between players and the sheer buzz you get from a hard fought win is something very difficult to explain and incredibly hard to top. Whether managing or playing, doing a sport with friends gives you the social and physical benefits and with so many facilities in the country, never mind just Southampton, means there's no excuse not to get involved. I also follow Liverpool religiously however after their recent result I've not yet forgiven them..."
Are you into your fitness? Do you own a company that is within the fitness industry? Here at Toolkit Websites, Southampton, we can provide you with the perfect website for you. Whether you are a personal trainer, zumba coach, nutritionist, sports club or other, we'd love to hear from you. You can view our Pinterest of Fitness Websites we have designed, or you can simply take a look at our portfolio which includes a variety of industries. We look forward to hearing from you. YouTube is a place where anyone and everyone can share video clips, from a six second clip of their baby's first steps to a 6 hour stream of a gamer playing Minecraft. Businesses also upload to YouTube with branded content such as movie trailers or promotional explainer films, or, for example The Conan Show share clips pulled from episodes recently aired on TBS. You can find a video for almost everything from almost anywhere in the world however if watching events as they happen is your passion, YouTube also have the feature to stream content live. This is most popular with sporting events, news and politics, and gaming. The YouTube platform was created by three former PayPal employees in February 2005. It was then purchased less than a year later (November 2006) for US$1.65 billion in stock by search giant Google. Today, YouTube is the third most visited website in the world with more than one billion users! As an avid YouTube Subscriber, I believe that the reason that these online stars are becoming so successful is because they are easier to relate to than TV and movie stars. They are normal people doing normal things such as creating make up tutorials, stand up comedy, singing or just giving general advice and conversation on topics that teens and above find interesting. YouTube also enables the creators to get instant feedback on their content, meaning that you feel as though your voice is getting heard. Being able to give instant feedback or your initial reaction and the fact that Youtube is so easily accessible is what makes it so popular for teenagers. They can access YouTube anywhere, on their phones, tablets and laptops for free. 6 out of the top 10 influencers for 13-18 years olds were YouTube stars according to a recent study in Variety magazine. This goes to show that teenagers are in search of online content rather than TV more than ever. Zoe Sugg aka Zoella started her YouTube channel back in 2008. She hit one million subscribers in 2013 and now has over 7.5 million subscribers, a best selling book and a beauty range as well as being featured in Debrett's 500 most influential people in Britain. It is rumoured that she has made £10,642 a day in the past 12 months through product placement, blogging, her YouTube channel, beauty line and her book. The views Zoella gets on her videos are stats that some TV channels can only hope for, averaging on 22 million video views a month. Looking into statistics and seeing if they reflect my findings I found a Telegraph article findings that stated ‘Television consumption by 16 to 24-year-olds fell for the third year in a row.’ The article goes on to say that ‘In the last year an a half, viewing by 4 to 15-year-olds has tumbled 22pc and viewing among 16 to 34-year-olds is down 15pc, according to the analysts.’ They have attempted to explain why this might be by saying ‘While older people formed their television habit long ago, 15-year-olds today will have only dim memories of life before the launch of the first iPhone in 2007. They have grown up in a world of ubiquitous screens, online video delivered by broadband and mobile apps. Improving internet speeds, both at home and on the move, which are also probably playing a role.’ In my personal opinion this may see Television be forced to evolve, to offer options that will be attractive to the younger generation. As April is around the corner, I leave you with a list of April Fools Day pranks that Youtube pulled on it's visitors, which just goes to show how much they understand their target audience. We are looking for fun, light hearted, informative and relevant video content, and Youtube is the place to find it. 2008: All the links to the videos on the main page were redirected to Rick Astley's music video "Never Gonna Give You Up", a prank known as "Rickrolling". 2009: When clicking on a video on the main page, the whole page turned upside down. YouTube claimed that this was a new layout. 2010: YouTube temporarily released a "TEXTp" mode, which translated the colours in the videos to random upper case letters. YouTube claimed in a message that this was done in order to reduce bandwidth costs by $1 per second. 2011: The site celebrated its "100th anniversary" with a "1911 button" and a range of sepia-toned silent, early 1900s-style films, including "Flugelhorn Feline", a parody of Keyboard Cat. 2012: Clicking on the image of a DVD next to the site logo led to a video about "The YouTube Collection", an option to order every YouTube video for home delivery on DVD, videocassette, Laserdisc, or Betamax tapes. The spoof promotional video touted "the complete YouTube experience completely offline." 2013: YouTube teamed up with newspaper satire company The Onion to claim that the video sharing website was launched as a contest which had finally come to an end, and would announce a winner of the contest when the site went back up in 2023. A video of two presenters announcing the nominees streamed live for twelve hours. 2014: YouTube announced that it was responsible for the creation of all viral video trends, and revealed previews of upcoming memes, such as "Clocking", "Kissing Dad", and "Glub Glub Water Dance". We look forward to 2015's prank! Is your Mother on Facebook? With the internet still being relatively new to the generation that didn't grow up with mobile phones, the internet and other mods and cons we have these days, the idea of signing up "online" or "surfing the net" is a daunting and alien experience for some generations. Nowadays nearly everything can be done online. Gone are the days where you need to take a day out of your week for the weekly shop. You can bung all your items into a virtual basket, check them out on your credit card and have them delivered to your doorstep in your chosen allocated time slot. You can hangout with friends and family on Skype or have a catch up with a long lost friend on Facebook. You don't need to queue for hours to meet your favourite celebrity, you can send them Tweets to grab their attention on Twitter. You don't need to get your pen and paper out to pen a letter or a story, emails have replaced mail and blogs have replaced journals... The list goes on. Project Manager Lanara gets a Tweet back from her favourite author! With the world literally at your fingertips, people can organise and facilitate their lives and businesses online, from all over the world, just by having internet access. Roughly 70 percent of college students surveyed in a recent study said that they are now friends with one or both of their parents on Facebook. The increase of 'adults' on Facebook (to the horror of teens and young adults) is actually a very good thing. Although it has seemingly had the younger generations deflecting to Twitter or Instagram. When it comes to business, having the older generations become more technology and social media savvy is a promising start for those businesses that have yet to gain an online presence. A survey by Yodle, an online marketing platform, showed that only half of small businesses have websites, and that only about one in 10 small businesses have figured out how to use social media or online advertising to market their product. With the opportunity to gain extensive exposure, and free marketing to target their desired audiences, a lot of people are asking why small business owners are not using readily available technology to better establish and grow their businesses. In particular social media accounts such as Facebook, Twitter and Google +. The first place many people look these days, when they need an answer to something, is to look online. And if that service provider doesn’t have a website, (or they have one that doesn't do the job) it is discounted almost immediately. Today's internet users are all about convenience, and tapping a few keys on a keyboard and grabbing the information from a web page is a common occurrence in day to day life. Businesses that don't have a web presence are not the only ones in danger of being left behind. There are plenty of websites out there that are very dated, need a revamp and don't have relevant information that their customers or clients would be needing or looking for. If your business doesn't have clear instructions on how to visit you, you won't be found. If your business doesn't have a list of products or services easily available, another competitor who does have that information laid out well may win the business. If your business doesn't have up to date and relevant content, web pages that do will be favoured over yours. If you're one of the 30 percent of people whose parents haven't ventured into this realm of technology yet... this Mother's day may be the day to convince them to take the plunge! Whether they run a florist, photography company, lawyers firm or something else, their business would benefit from a bespoke and professionally made website to give them the online presence their business deserves. With a portfolio that covers an extensive range of industries and showcases a large variety of designs, our portfolio is well worth flicking through. We also have social media services where we can set up a company social media or blogger account, style and brand it to match the company branding and help you get the wheels turning. What are you waiting for? Give us a call on 02380 633 644 and get your business online! The theme this year is a "young" commonwealth, which is all about focusing on the fact that the youth play a vital role in democracy, and to encourage interest in it. #YoungCommonwealth. Someone who is keen on having young people have a chance to be the voice of the country, and to generate more interest in the Monarchy, the Commonwealth and more is CEO of MonarchyOnline.org Kaz Aston. Monarchy OnLine is a free web-based resource to help people, whatever age, have fun while learning more about the Monarchy. 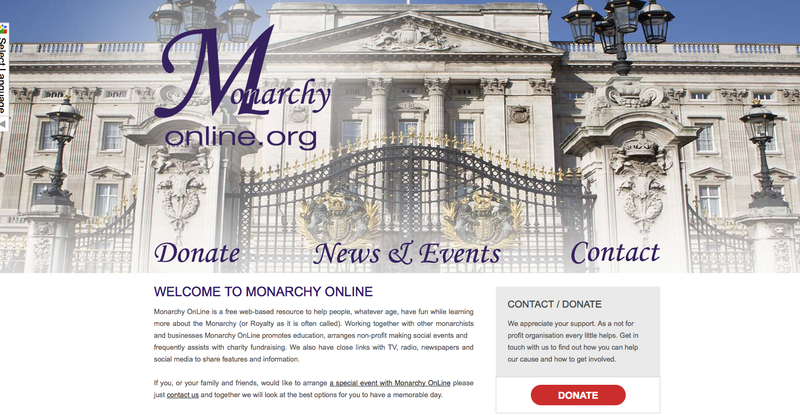 Working together with other monarchists and businesses Monarchy OnLine promotes education, arranges not for profit social events and frequently assists with charity fundraising. They also have close links with TV, radio, newspapers and social media to share features and information. When it comes to promoting her work and projects online, Kaz has two main sites that has all of the information and resources you need to learn about her work, how to get involved and how to get in contact. To engage her target audience, she wanted some one-page websites that were visually appealing, informative and that let people get to the information they want straight away. On the right, you can see each of the four sites pictured. 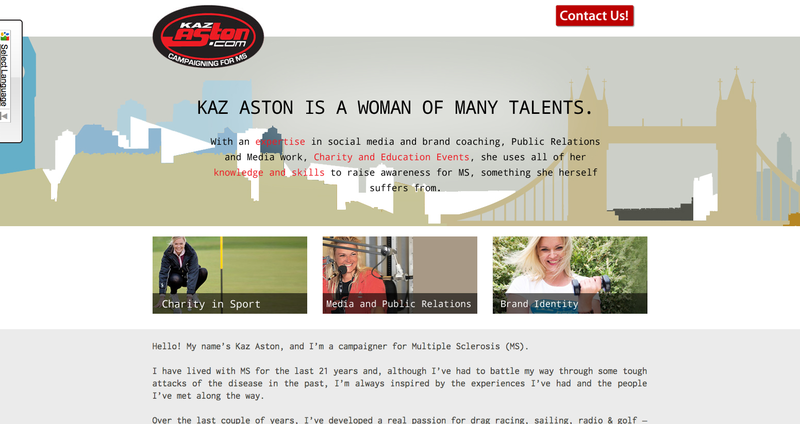 Kazaston.london promotes the charity work Kaz does in sports, media and PR & Brand identity. With easy to find links you can click on the category you are interested in, and be directed to the right place. 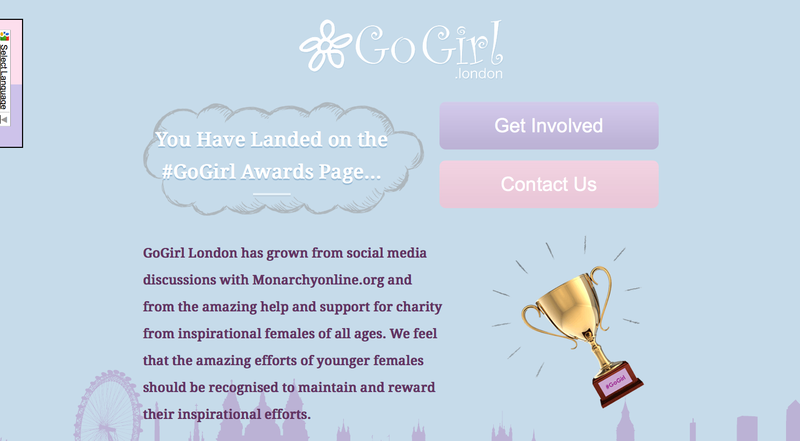 The second one, Gogirl.London features the #gogirl awards that Kaz and her team at Monarchy Online have put together. The idea is that the amazing efforts of younger females will be recognised in order to maintain and reward their inspirational efforts and to get more young females involved in such events. These one page sites have panels, that contain the seperate sections of information, meaning that it is visually appealing to read. The design relies heavily on the small details, the graphics and the way the content is laid out. The idea behind it is to keep it simple but to pack the content with rich copy and visual aids. The third of the four sites is for the MS Clear Guide. This one features the same full width panel layout, but as you can see they all look completely different from the other meaning that you are aware that you are viewing a different topic entirely. The MS Clear guide highlights what is already on Kaz's main site, but shows it in a clear and concise way. The website has links back to the main site for people that want to read more about it, but this site is designed to feature the clear guide in a way that is not foreboding or too scientific. The aim is to reach people who may have been newly diagnosed or have a family/friend that has, and the information is there to be a friendly voice and reassurance about what it's like living with the disease. 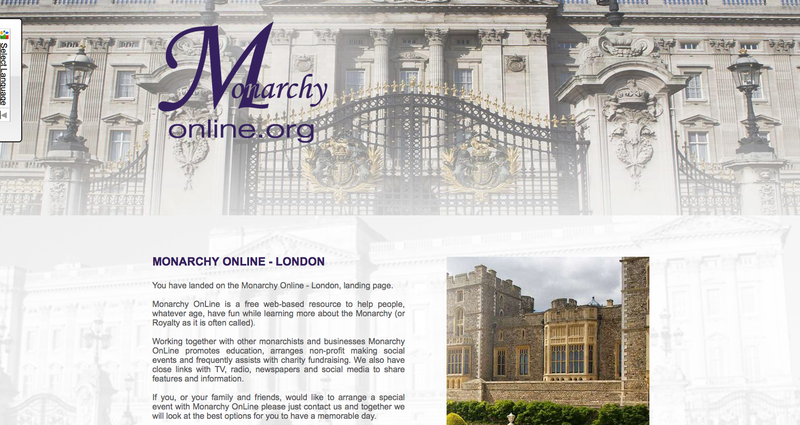 The last of the four sites is for the Monarchy Online main site. A landing page that means people can be redirected straight to the information on the main site that they are looking for without too much hassle. The beauty of these one page websites is that it does not limit you in the amount of text you have, but it does force you to be more concise. 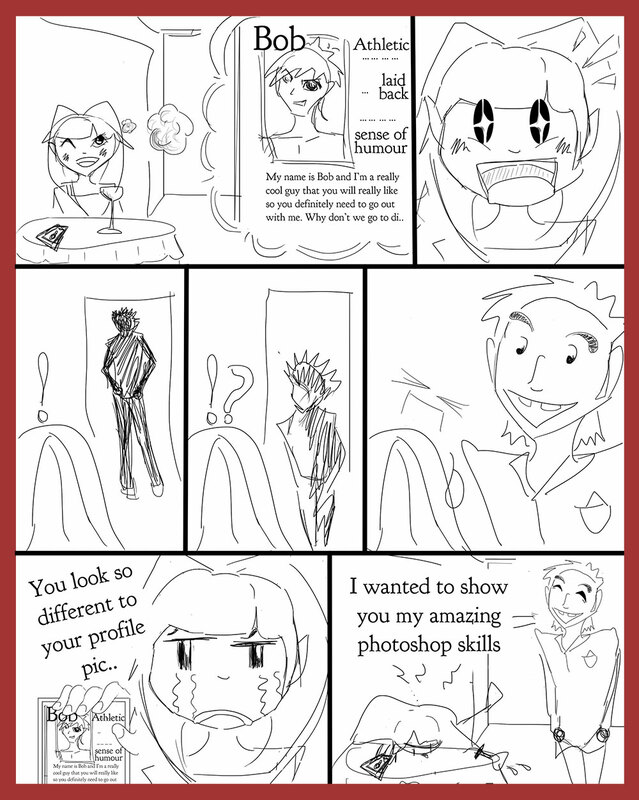 It makes you consider what is important to have on the page, and edit out anything that is just there as a filler. The result is a clear cut, concise and helpful website, which looks good, functions well and will perk the viewers interest. Any industry can purchase a one page site to promote their business, whether it's used as their main site, or a subsidiary like the sites seen and discussed above. Join our conversation about #Commonwealthday2015 on Twitter and Facebook today. And did you know that the Queen is in Southampton tomorrow? Read more about it on our social media platforms tomorrow! Give us a call on 02380 633 644 for more information regarding one page websites. Online dating. It's something that used to have a strong stereotype linked to it, and it's definitely not something that people used to admit to. Often times, people that had met through online dating, would make up a fantasy way that they met in order to avoid the strange looks when they revealed that they had in fact, met through the internet. "Online dating is more common, and less stigmatised, than ever before. 11% of adults now use online dating sites–up from just 3% in 2008. 4 out of 10 adults who are “single and looking for a partner” are looking online. But why the fast rise of this new dating trend? With mobile technology, online dating has become a social–and surprisingly public–activity." ~ Read the full article here. Nowadays, it's much more common to meet new potential partners online and the stereotype has largely been shaken off. With the internet at your fingertips, you can now converse and arrange meetings with people from all around the world. You are no longer constrained to your locality. You can search for people that enjoy the same hobbies as you, fit your "preferences", have similar personality types and or life experiences. Cartoon Drawn by Project Manager, Lauren. "Any relationship that forms is more likely to be based on a shared value system, the same interests, the same legwork as opposed to a relationship based on chemistry alone, which, as we all know, is the quality that tends to fade first in a relationship.” ~ Read the full article here. With the last few years seeing a steady climb in active users on dating websites, some of the online dating industry have put this down to the recession. With unemployment and underemployed people having more time on their hands to surf the web. Online dating is also a relatively inexpensive way to meet new people, than the normal activities such as going out, wining and dining and so on. Another reason for the rise in the use of online dating is of course the younger generation who have grown up with the internet at their disposal from the very beginning. Now that they are entering their late teens and early 20's, they are finding online dating as a hassle free, and social activity opposed to the secretive and discreet one that it used to be. With apps for POF (Plenty of Fish), and Tinder for example, these dating sites are accessible via mobile as well as desktop, meaning that you can stay connected at all times. Of course, online dating has it's pros and cons. With the popular use of Instagram (adding filters and manipulating your images) and other software, the online dating world can be deceptive and misleading. However, if it is used well (and cautiously) it can have some pretty remarkable results. See to the left, Project Manager Lauren's brilliant cartoon. 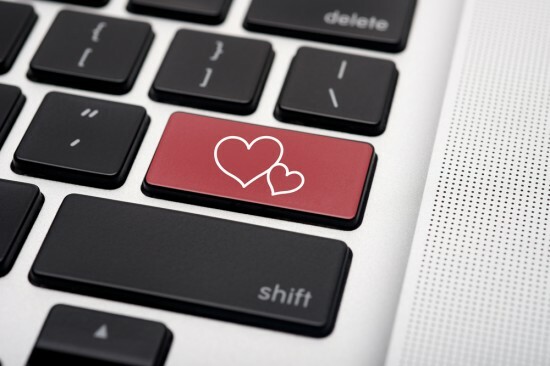 "One in five relationships in the UK starts online, according to recent surveys, and almost half of all British singles have searched for love on the internet. 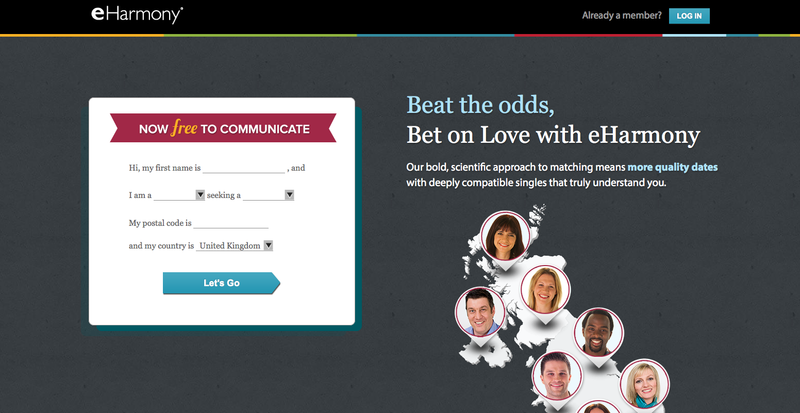 Just today, nine million Britons will log on looking for love." ~ Read the full article here. Project Manager Lauren did some research into online dating, not being a user of it herself, and happened across a video by Amy Webb hosting a lecture on the topic. Lauren says: "At first I thought about it as a form of Social Media, people reaching out to others, but with the goal of finding a partner. However, after seeing Amy’s findings, it seemed more like people were becoming websites, an online presence of their physical selves. So are our love lives taking to the web the same way our businesses have? Is us being discovered and chosen by a preferred mate the same as appearing highly in a Search Engine and being chosen above other competitors? Basically, in Amy’s talk, she took the activity of creating an online profile and online dating and optimized it according to the type of man she wanted (Client base), much like we do with websites. She talked about how to present yourself online. Obviously, there is the photo, the visual side. It must be eye catching and portray you in a way that is ‘attractive.’ The same way that websites need to think about their design and images. Secondly there is the content. Amy states the vocabulary used should be ‘positive’ and ‘well written.’ Well written being not too long, not too short and easy to understand and engage with." When it comes to the web design, here at Toolkit Headquarters, we were interested in seeing how the designs of the sites differed and why. We selected a handful of popular dating sites to analyse, which you will find below. The website is really modern and uses a full page background image. The image here is a still from their TV advert... on first sight it's comedic, which depending on your reason for signing up, could either sit well with you or wouldn't. The landing page here is for you to register or sign in. 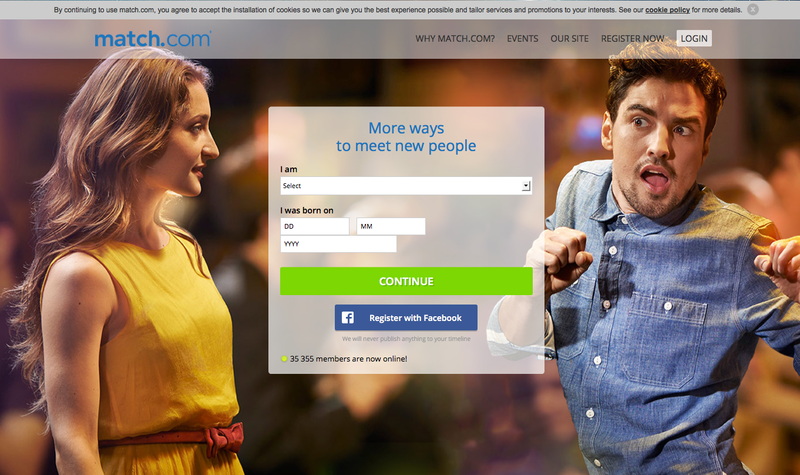 It also offers online dating tips, information about their singles events and more. It says it is free to use and it also has a mobile app. The thing that stood out the most was the fact that you can connect using your Facebook account. This just goes to show that it is seen much more as a social concept, and people are less likely to hide away from the fact that they have an account or use online dating. The website is very basic. And packed with a lot of information on the first page. There is no logo branding, and the sign up form is quite messy to look at. However, the website is free, and quite rightly, as long as it works that's what matters right? Personally, as web designers we feel the design is part of the user experience. A bad design could put someone off, no matter how good the functionality is. Upon signing up, they say that you will take a "Chemistry Test" beforehand, before being able to connect with other people. "After taking our Chemistry Test we match you with personalities that lead to long lasting stable relationships. We match you with online daters that will meet your emotional needs." E Harmony claim that "Our bold, scientific approach to matching means more quality dates with deeply compatible singles that truly understand you." The design is good, it is simple yet modern and uses graphics that are visually appealing. The full width panel website is right on trend, and the scrolling panels mean that the content is nicely ordered and easy to read. 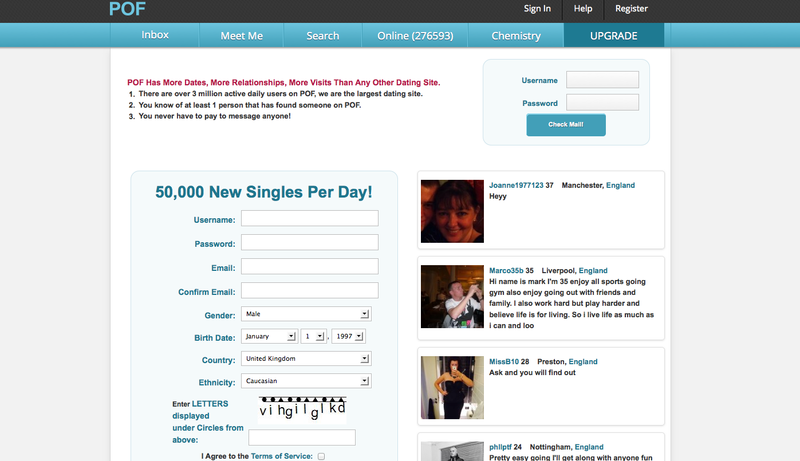 The sign up form is nice compared to other dating sites. Like most of the sites, it states that you will need to fill out a questionnaire upon sign up in order to get your free personality profile. It also mentions that you can specify the package you would like, hinting that there will be paid for services if you would want them. There are a lot of dating sites to choose from. One of the dilemmas most people will have is to know where to start! With each site offering something different, and having different ways in which to give you the best experience with them, it would seem that trialling them would be the best way forward. Today is World Book Day, and what better day to take a look at what books some of the team like to read and why. 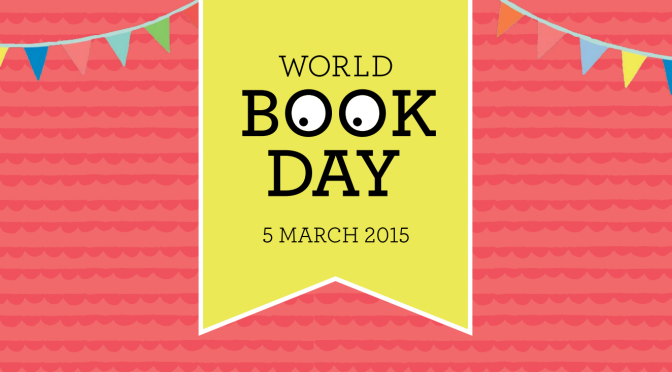 In the charity's own words: "World Book Day is a celebration! It's a celebration of authors, illustrators, books and (most importantly) it's a celebration of reading. 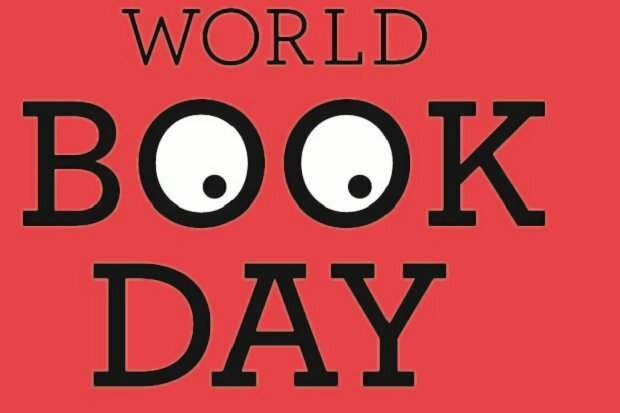 In fact, it's the biggest celebration of its kind, designated by UNESCO as a worldwide celebration of books and reading, and marked in over 100 countries all over the world." Synopsis: An ancient secret brotherhood. A devastating new weapon of destruction. When world renowned Harvard symbologist Robert Langdon is summoned to a Swiss research facility to analyze a mysterious symbol - seared into the chest of a murdered physicist - he discovers evidence of the unimaginable: the resurgence of an ancient secret brotherhood known as the Illuminati... the most powerful underground organisation ever to walk the earth. The Illuminati has now surfaced to carry out the final phase of its legendary vendetta against its most hated enemy ... the Catholic Church. Read full review here. It is the type of book that has you at the edge of your seat. It's a crime thriller that is fast paced and eventful from the very first page. It also contains a lot of historical facts that cause the book to seem more realistic. It explores religious beliefs, churches, statues, and the Illuminati cult adding realism and mixing conspiracy theories into the mix. 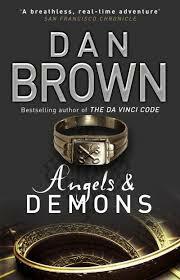 Dan Brown's style of writing and ability to keep you locked in from one explosive scene to the next, without being too unrealistic or unbelievable, is what makes the book what it is. 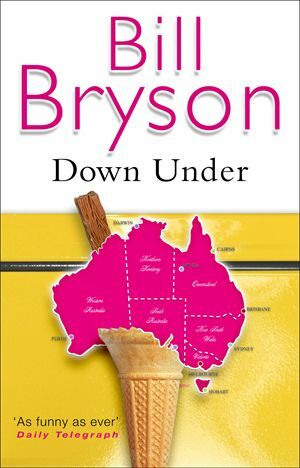 Synopsis: 'Down Under' is Bryson's report on what he found in an entirely different place: Australia, the country that doubles as a continent, and a place with the friendliest inhabitants, the hottest, driest weather, and the most peculiar and lethal wildlife to be found on the planet. Read full review here. Why: The book covers Bill's travels through Australia, including his many weird and wonderful encounters with species which have seemingly evolved only in order to kill all humanity, names that can only be pronounced by accident when drunk, and not to mention the cheerful, quick-witted inhabitants that call it home. 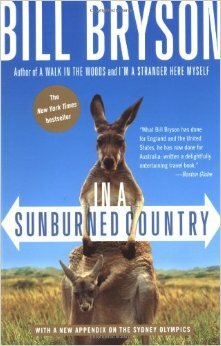 I read this book prior to travelling Australia and subsequently found myself inadvertently following in his footsteps across one of the most incredible places I've ever been. In his words, "Australia has more things that can kill you in a very nasty way than anywhere else". What's not to like about that?! Her favourite book: 'The Memory Book"
Synopsis: The name of your first born. The face of your lover. Your age. Your address... What would you do if you your memory of these began to fade? Is it possible to rebuild your life? Raise a family? Fall in love again? When Claire starts to write her Memory Book, she already knows that this scrapbook of momentoes will soon be all her husband and daughters have of her. But how can she hold onto the past when her future is slipping through her fingers? Read full review here. 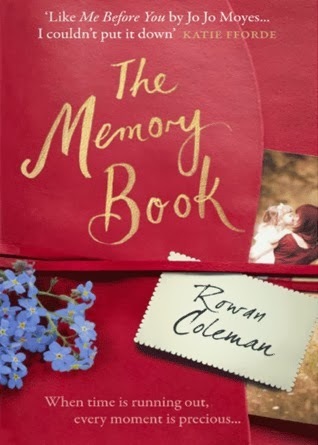 Why: Without giving away too much of the plot, 'The Memory Book' is all genres rolled into one. It's a romance, it's a comedy, it's an adventure and a drama... it's many things. Coleman takes big bold characters and gives them an identity so believable that you want to reach into the book and live among them yourself. The book itself centres around a family, each member going through their own trials and tribulations. If you like a story that will move you to tears, and make you smile at the same time, this is the book for you. I would highly recommend it, and the author is friendly too. She has taken the time to respond to my Tweets that I sent shortly after reading the book. Why: I'm not much of a Book Person usually, but I definitely like my reading material the way I like everything else, full of action, driven characters and a smart storyline. 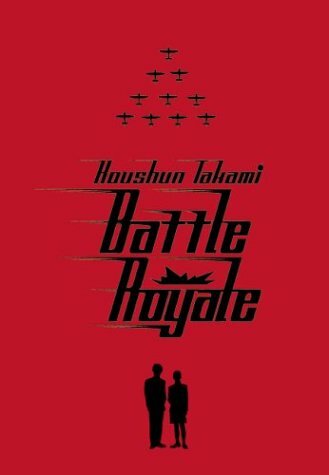 That's why I'd have to say that Battle Royale by Koushun Takami is the most enjoyable book I have ever read. It even references Bruce Springsteen, one of my favourite musicians and songwriters of all time. It's an interesting concept which came way before modern dystopian variants (like 'The Hunger Games trilogy') and is brutally honest in its portrayal of the troubles that teenagers face in modern Japan. It's intelligent, yet full of action and emotion meaning that it caters to a wide target audience. What are your favourite books? And why would you recommend others in reading them? We'd love to hear from you on this topic. Join us in our discussion on Facebook and Twitter today! It's coming up to the time of year for the CRUFTS competition. The worlds largest dog show. 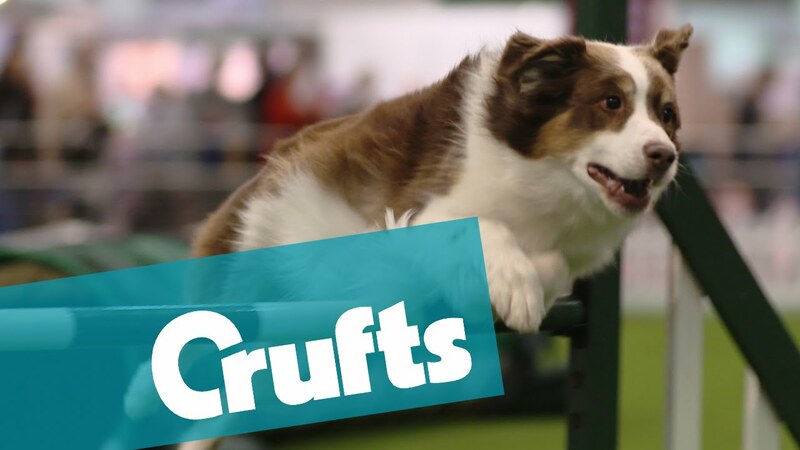 "Crufts is centred on a championship conformation show for dogs but also includes a large trade show of mainly dog-related goods and services and competitions in dog agility, obedience, flyball and heelwork to music." ~ View the official site here. When it comes to competition, and especially in business, it can be a pretty dog-eat-dog world. With so many companies now able to offer the same services, the only thing some of them can compete on is price. The problem with this is undercutting your competitors can often mean undercutting yourself and ending up with low profit margins. Here at Toolkit Websites, we see competition as a good and healthy thing. We offer web design services for small to medium sized businesses, we have the knowledge to deliver the right solution at the right cost. With approval from the Trading Standards' Buy With Confidence scheme, we've been awarded for our exceptional business conduct and commitment to customer care. We know where our strengths lie, and it's in those strengths that we exceed. When it comes to competition, we believe that you shouldn't undercut yourself, (or your competitors.) You should know your worth, and those that want a brilliant service will be inclined to spend the money necessary for the quality they expect. The saying "you get what your pay for" is true for most industries. Why do we think competition is healthy for a business? It keeps you on your toes and forces improvement in anything and everything you do. When you're offering a service, clients and potential clients will compare your services to those of your competitors. Whether it's Messi against Ronaldo, or Samsung against Apple, competition brings out the best even in well-known businesses, because no one wants to be second place. What types of competition are there? Competition comes in many forms. There is external competition from other companies who offer the same service as you, or a similar service. There is internal competition within the company, where employees can be in direct competition with each other in terms of performance. Competition can be great for morale and a businesses general performance. As mentioned above, direct competitors who have a similar service offering, it's important to at least match them but having something that they can't offer is nearly always a game changer. Imagine looking at the iPhone 4s and iPhone 5, wouldn't you rather the one with Finger Print recognition? People will always choose the one that is more advanced or offers something extra. Nowadays, your competition doesn't have to be within your locality. With the world wide web at peoples fingertips, web design companies can be found up and down the country, Our external competition can come from a number of sources, and it's our job to make sure that what we do stands out from the crowd and fulfils the needs of our target market. Commission based roles are a fantastic way to generate sales and bring in more business for a company however it doesn't just have to be financial targets. KPI's can be as simple as who is on the phone the most to customers, supporting them. Alternatively it could be who makes the most amount of outbound support calls which encourages over the top customer services. Take something as simple as an 'employee of the week' award, it's a great thing to achieve so staff will work as hard as they can for the chance to be considered. By having targets set, a person can track themselves against them, making them want to achieve a higher standard than they have before as well as those of their colleagues. At the end of the day, having competition in a business promotes change, constant improvement and means that a business never settles into a routine of "churning out" the same thing year in and year out. Having targets to reach, records to smash, competitors to blow out of the water... it's what being in business is all about. In true CRUFTS style, we leave you with a video of a dog, who offers a service most dogs do not. Salsa dancing! This week's website of the week goes to Lucent Talking for their clear and positive content supported by a bright design and use of Social Media. 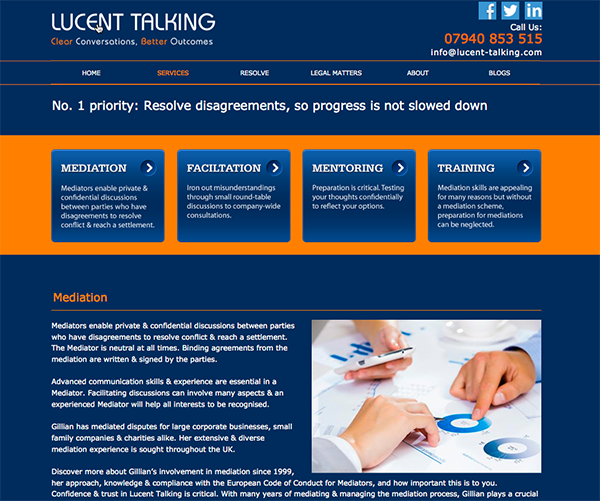 Lucent Talking are a company that offer mediation, facilitation and mentoring services. They use advanced communication skills and techniques in their daily work and so required a website to represent them online and help reach out to those on the web. The design is bold and professional whilst warm and inviting. The colour scheme of dark blue and orange is complimentary whilst being memorable and the stock images that allegorically represent the ideals of Lucent Talking have been customised to suit the new colours. The logo design for Lucent Talking was also designed especially by our Design Team. Text based logos can be very professional looking and due to the huge number of fonts being created every day, it can be made perfectly bespoke to your company in a variety of layouts and styles. easy to absorb and digest which is the exact intention of a company dedicated to making communication 'Lucent' for their clients. 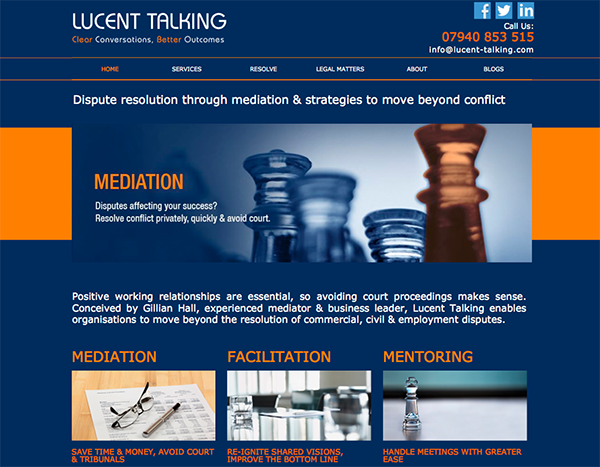 As well as speaking to clients and potential clients through their fantastic looking website, Lucent Talking took this one stage further and really made the most of what Social Media has to offer them in this day and age. Facebook, Twitter, LinkedIn and Blogger, Lucent Talking uses them all as a platform to demonstrate what they can do for others on a more personable and personal level. All styled accordingly to suit the website and to strengthen their brand.